There are times when we could all do with an extra room. It might be an extra bedroom for a growing family, a guest room for overnight visitors or perhaps a study or office for the growing number of people who work from home. Moving house is one option, and building an extension is another. But if the space at the top of your home is only used for storing boxes of junk and providing a refuge for families of spiders, a loft conversion could be just the thing. Before you get too excited, check whether your loft is suitable for conversion. Of course, you’ll need expert advice, but there are some basics you can check for yourself. The most fundamental thing is head height. Measure from floor to ceiling at the highest point, and if it is 2.2 metres or more, you are good to go. It’s also worth looking at your neighbouring properties. If they are of the same construction, and some of them have converted lofts, which are obvious from the skylights or a large dormer, then it is evidently possible. Now, the fun starts. 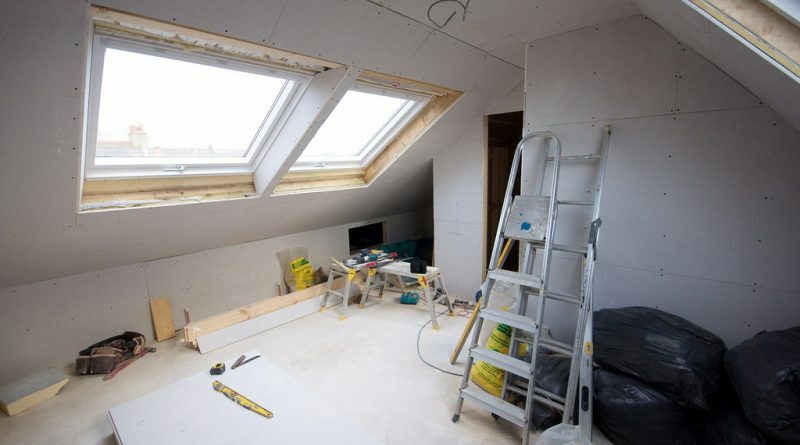 Brainstorm ideas with your family as to how the ideal loft conversion will come together, and once you have a basic idea in mind, you can call in the experts. An architect will take your ideas and also come up with a few suggestions of their own. You’ll then have several draft sketches showing different ways the converted space can look. Once you agree on a plan, your architect will use architectural drafting services to turn the sketches and site-work data into drawn up plans that can be used for the planning process. Speak to your local planning department to find out whether planning permission is needed. More often than not, a loft conversion falls within the scope of permitted development, but show them the plans to make absolutely certain. If you live in a terraced or semi-detached house, you are also likely to need a party wall agreement from the neighbours. In the majority of cases, this is a straightforward formality and will not cost you a penny, but it is a legal requirement, so ensure it is done. If you have followed steps one to three correctly, the construction process should be a smooth one. Of course, it is up to you whether you leave it in the hands of the experts or do some, or all, of the work on a DIY basis. Just keep in mind that it will have to pass muster with building control, so ensure that everything is carried out to a high standard, and that all electrical work is done by a qualified engineer. With the construction done, there are just the finishing touches left. The most important is that visit from the building inspector to sign off that everything complies with building regulations. Then, all you have to do is decorate, furnish and enjoy your newly converted loft.